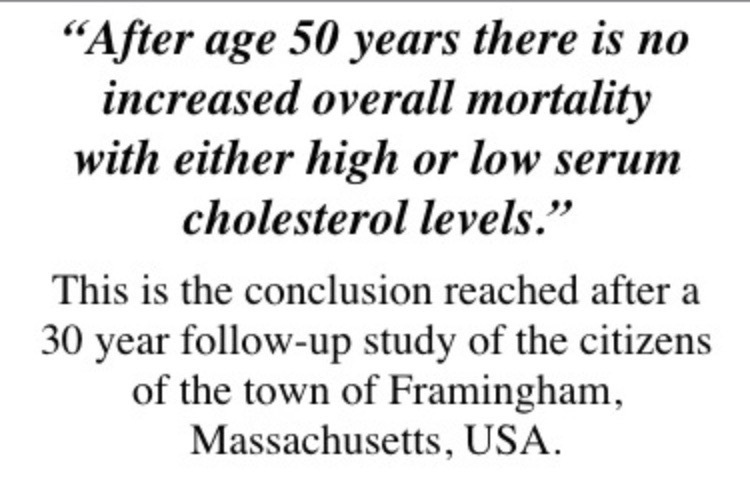 Previous Posts have shown that the existing dogma that "a high level of cholesterol in the blood is bad" is only true in men below the age of 50 years. In women of this age, the blood level of cholesterol is of no value in determining coronary risk or life expectancy. The study did not extend beyond the age of 70 years and so the conclusion is limited. However other studies have shown that beyond this age a high cholesterol level is associated with the best survival. There are three important studies showing this that I have reviewed previously: the Paris study, the Honolulu study, and the Stamford (USA) study. There are several other studies showing the same thing. Now there is a further study, this from the Aging Research Centre at the Karolinska Institute – Stockholm University. 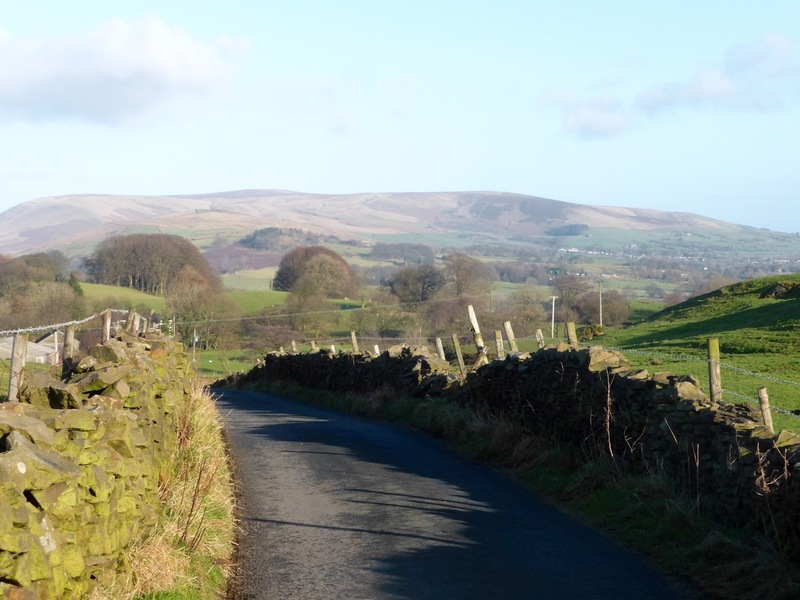 The study involves the observation of 3090 adults aged 60 years or above, from a population cohort. The average length of follow-up was 7.2 years, that is 23,196 person-years of observation. During this time 1059 participants died, 34.3%. more likely to have mobility limitation. in use of cholesterol-lowering medications. The results are displayed in Figure 1. 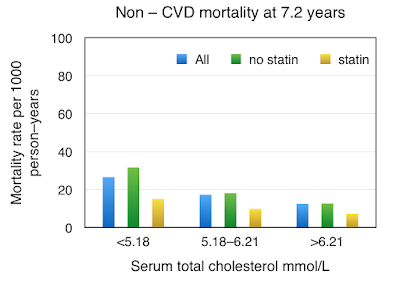 It is clear in Figure 1 that the highest mortality rate (71.8 per 1000 person-years) is in those with the lowest blood levels of cholesterol, less than 5.18 mmol/L. The lowest mortality rate (35.6 per 1000 person-years) is in those with the highest blood levels of cholesterol, half the death rate than in those with the lowest cholesterol. Why is this not publicised?. During the past 20 years an increasing number of the population have been commenced on long-term cholesterol-lowering therapy, and especially statins. This has added a complication to cholesterol-related observation studies, but it is good to see that such studies continue, demonstrating an academic scepticism of the often-stated dogma that “The lower cholesterol the better”. My recent Post of evolocumab shows that this simply is not true, but it is as well that other people think the same as I do. An important point is that a low level of cholesterol in an individual can be a “natural” level, a person-characteristic, or it can be the result of statin or other cholesterol-lowering medication in someone with a naturally higher level. In the Stockholm study the participants are divided into whether or not they take statins (and other cholesterol-lowering medications), but statin intervention was not part of the study: it was purely observational. 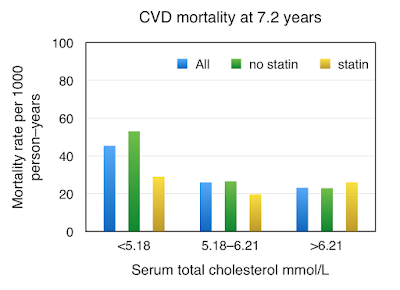 In the results we see mortality displays for all the participants (as in Figure 1), those not taking cholesterol-lowering medications, and those who during the study were taking cholesterol-lowering medications (mainly statins). We also see analysis of all-cause mortality, cardio-vascular disease (CVD) mortality, and non cardio-vascular disease mortality. 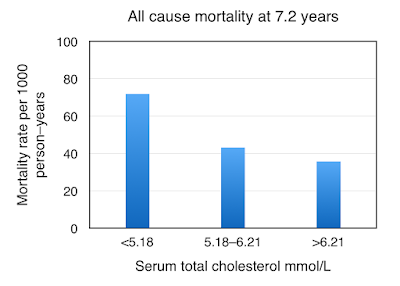 Figure 2 shows all-cause mortality, the most important outcome measure. We can see a similar pattern to Figure 1, but it is a little more complicated. The blue columns, all participants, are as in Figure 1. 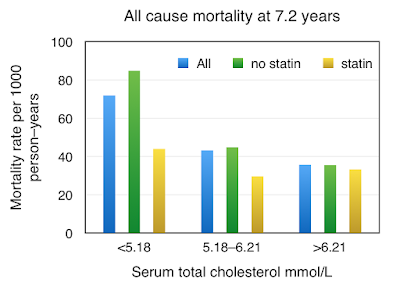 But we see in addition the division between those not taking statins (green) and those were taking statins (yellow). The first group of three columns concerns those with low cholesterol (<5.18). 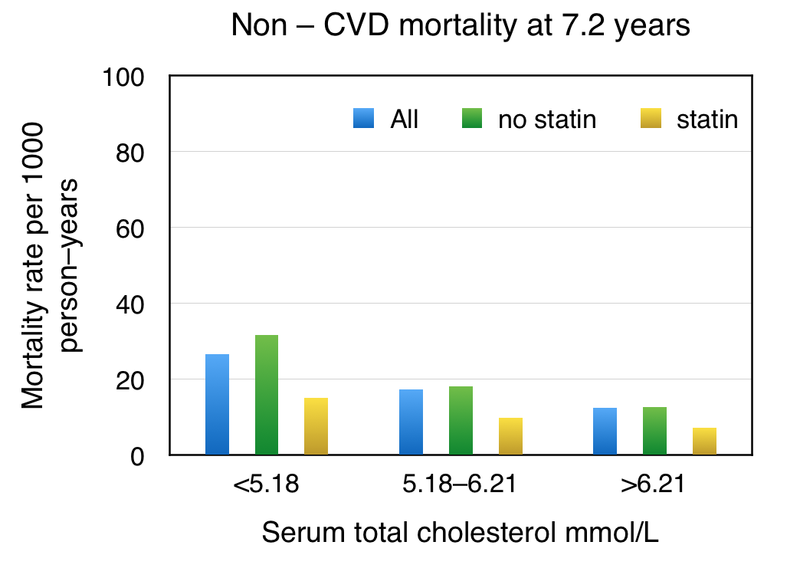 We can see that those not taking statins (green column) have the highest mortality. This is a natural low cholesterol and it is clear that it gives a distinct survival disadvantage – it is a bad thing. But the yellow column, those taking statins, does not really tell us very much. These participants would have a natural cholesterol significantly higher, but we do not have the information, we do not know the pre-statin cholesterol level. We can see in the second group (5.18–6.21) and the third group (>6.21) that having a higher cholesterol is associated with a lower mortality rate, a survival advantage, compared to the first group. 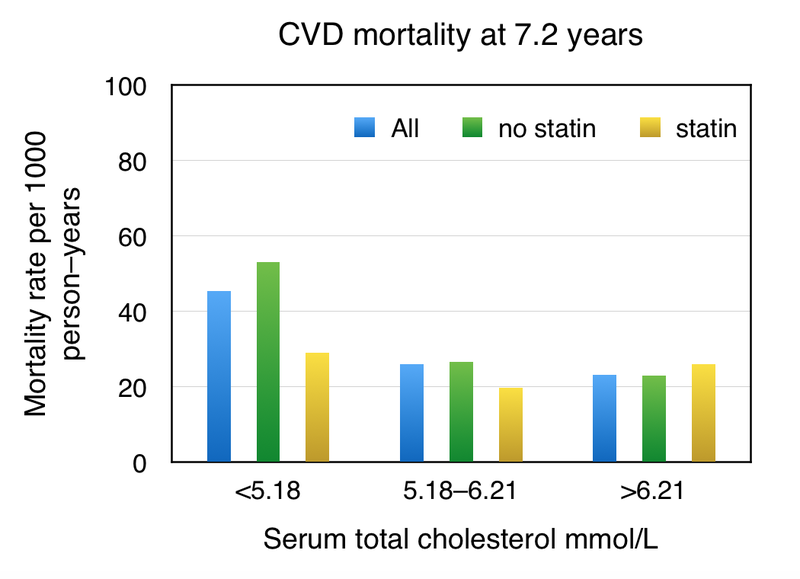 The participants in the yellow column of first group (those taking statins) would have a similar natural cholesterol level to the second and third groups. In Figure 3 we can see the same analysis but looking at death from cardio-vascular disease (CVD) – strokes and heart attacks. The pattern is the same. Those with the lowest blood level of cholesterol have the highest mortality, the opposite of what we have been told. 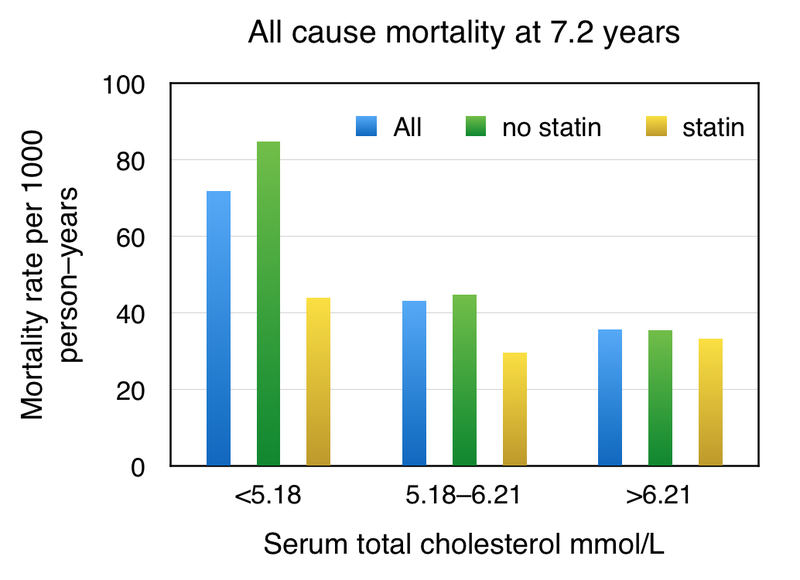 Those taking statins (yellow) in the first group would have a natural cholesterol as in the higher cholesterol groups, and therefore have a similar lower mortality rate. Finally we see in Figure 4 mortality due to to causes other than cardio-vascular disease. Such conditions would be cancers or pneumonia. The pattern is the same, but course the number of deaths is lower in the subgroups than in the total numbers shown in Figure 2. Low cholesterol is not a good thing, but if the low cholesterol is because of taking statins, then the mortality rate is similar to those with higher levels of cholesterol. 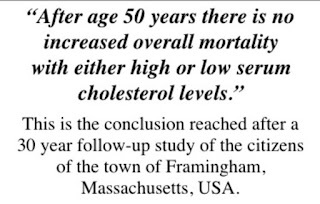 This is another good quality study that demonstrates clearly, and contrary to what we are generally told, that a high cholesterol level in the blood is a good indicator for a longer than average life expectancy. Why are we not told this? The information has been available for many years but it has been suppressed. There are so many vested interests in perpetuating the myth that cholesterol is effectively poisonous, killing us in proportion to its level in the blood. This is the basis of many academic careers and the rationale of cholesterol-lowering medications, especially statins. The self-appointed and powerful Cholesterol Treatment Trialists’ (CTT) Collaboration controls public and government policy, and falsely perpetuates the identity of cholesterol as the "cause" of heart disease and premature death. We can see that this is wrong. In a person over the age of 60 years, a high blood cholesterol is clearly a good thing. Correspondingly a low blood cholesterol level gives a serious survival disadvantage. However this is only true if the low cholesterol level is "natural". If low blood cholesterol is the result of statin or other cholesterol-lowering medication, then there is no survival disadvantage and there is no need for concern. We can conclude that it is not really the cholesterol level of the blood that determines future health and survival, but what we might regard as "the constitution" of the individual that is responsible that natural cholesterol level.